I read quite a few articles the past two weeks that have left some strong impressions on me. Three in particular. One was a sort of “retirement letter” by Kenneth Baker, SF Chronicle art critic from 1985-2015. He reminisces about spending that time both witnessing and actively taking part in the changing face of San Francisco’s art scene and cultural make-up. As an SF native, it brought back a lot of strong and sad memories connected with my hometown (the Quake of ’89, the redesigns of the art museums, etc.). He mentions that the influx of residents, particularly over the past decade, has brought with it a lot of people with no interest in or connection to art. What’s worse, they seem to have little knowledge or appreciation of this city’s contributions to art or the fact that it is a work of art. He ends his piece with no regrets, but rather with a great deal of gratitude to have experienced so much within the span of 30 great years. The second was a LongReads essay by Nathan Rabin. Rabin has long been my favorite pop culture writer (he’s the one who coined the term “Manic Pixie Dream Girl” after watching Cameron Crowe’s Elizabethtown) and a helluva raconteur. But despite having spent the past decade-and-a-half getting paid to write on the internet – a medium with nowhere near as bleak a forecast as the newspaper – he recently found himself let go from his regular job of writing for the website The Dissolve. He goes into painful detail about the indignity of being a man in his mid-30s forced to move with his wife and newborn child into the wife’s parents’ basement. As he elaborates, pop culture does not highly regard people who write on the internet from their parents’ basements. Like Baker, he ends his piece with a lack of assurance about the future, but all the more determined to have no regrets about what his former life has brought him. And then there was the theatre article (yes, this does have to do with theatre). Now, I’m of mixed feelings about the LA-based theatre website Bitter Lemons. They’ve written pieces I quite enjoy (“I don’t want to ‘Support’ Your Show, I want to ‘Enjoy’ It”) and several I don’t (too many to name). I imagine the way I feel about them is the way most people feel about them. Or HowlRound. Or – as I can personally attest – us here at Theater Pub. But what caught my attention recently was their announcement of the so-call “Bitter Lemons Imperative”, in which any company that wants their show reviewed on their website will have to pay $150.oo for the privilege. Now I know that several folks have written about this already, so I’ll try my best not to just parrot what they’ve already said. Having said that, I do agree with their assessment that this is a bad idea. A really bad idea. My knowledge of the LA theatre scene isn’t as intimate of my knowledge of the Bay Area scene, so I’m forced to ask: is Bitter Lemons so vital to the stability of the scene that it can make such demands? Seriously, I’m asking? If so, then bravo, BL, for being so valuable in a world that – as shown in the essays above – continues to put less and less value on artistic critique. Hell, earlier this year Theatre Bay Area had to cease production on its print incarnation and become entirely digital. Nearly every art zine and alt-press publication I knew growing up has vanished forever. So on the one hand, as a fellow arts writer, I tip my cap to BL if they’ve found a sustainable way to stay financially afloat in this business. Mind you, if. On the other hand, whether the idea is profitable or not, it still has the problem of being both pretentious and elitist. Pretentious in the way BL appears to be lording their opinion over the theatre community (I know they say their motivation is just to stay afloat, but still…) and elitist because, let’s face it, what indie theatre company is going to put aside a single dime just for a review? With all the money spent sending out postcards and buying a single poster to put outside the theatre, we’re now expected to pay money out of our own pockets what some ‘Red Velvet’ Goldstar member with poor grammar and a stuck CAPS LOCK button gives us for free? Surely, you jest. Granted, I’m guessing the BL folks would bring considerably more knowledge than a potential Goldstar reviewer – both of the craft of theatre and of the local scene – but that doesn’t change the fact that they’re still trying to (as the old term goes) sell ice water to eskimos. And there’s still the inescapable fact that a company with more money could potential buy positive reviews. Think of it this way: movies are often screened a week or so before their public opening for critics. The critics are by no means required to positively review the film, but the studio is hoping for a blurb to put on posters. If a critic gives enough negative reviews to films from one particular studio, it’s not unheard of for that critic to be uninvited to future screenings by said studio (Roger Ebert spoke of this quite often). Now what’s to stop this from happening at BL? What’s stop a touring Broadway show from, say, paying above the asking price in the hopes the BL will put a great deal of emphasis on the productions positive qualities? What’s to stop them from paying enough to wear a truly brilliant indie show doesn’t get mentioned at all while the touring show gets prime real estate on the homepage? What’s to stop BL from creating their own David Manning who does nothing but spout off positive notices for one company, but negative ones for their competition? There’s getting paid for what you love and then there’s flat out prostitution. There’s a reason they say “No Press is Bad Press” and it’s because reviews are adverstising. Positive reviews are even better advertising. But if you’re going to say that you’re holding a standard of artistic critique, when does that standard lower for the sake of advertising revenue? I started off this piece by sharing the Baker and Rabin testimonials because I truly get where both they and the BL folks are coming from. When people seems less and less eager to pay for art (let alone art critique), it’s easy for a sense of desperation to set in. Compromises are made. Boundaries are crossed. Things once thought impossible become par for the course. But there has to always be a line. I probably wouldn’t have a problem with the Bitter Lemons Imperative if the price were directed at, say, other art critique outlets and media. If they were charging the New York Times to reprint one of their reviews, I’d think the price was high, but I’d be willing to hi-five them for getting that kinda cash from the biggest newspaper in the US. If they were doing this for American Theatre or one of the publications that’s still in print, I’d feel different. But they aren’t. They’re asking the artists to put up this money for potentially dubious reasons, and that’s something I find morally objectionable. I don’t know what the long-term solution is staying afloat as an art critic these days. But if this is what it takes, you can count me out. Charles Lewis III will gladly critique your work for free. That’s why he writes on the internet, because his opinion is worth bupkes. To read more of his meaningless words, follow him on Twitter (@SimonPatt) and Tumblr (CharlesandhisTypewriter). Charles Lewis III, liberated from the proverbial last straw. Ending a job – any job – is like ending a relationship: there are financial concerns, all of your friends have their unsolicited opinions on how it should have gone, and there’s a seemingly endless stream of platitudes to greet you at the end. Most similarly, it’s been obvious for some time that you two aren’t good for one another and it’s just a matter of time before someone did something drastic. Just get it over with now so you can both move on. I have only myself to blame, really. I’ve mentioned before – twice, actually – that I was going into 2015 with nothing set in stone. I tried to brush it off, even convinced myself that it was for the best, but I still got antsy and wanted to work. The two auditions I’ve had resulted in bupkis and I don’t have much coming up acting-wise. So I accepted work. Lots of work. A running joke of late amongst some of my theatre colleagues has been the fact that I’ve been seen manning the box office “at so many theatre companies lately”. (It’s actually just two.) In addition to that, I’m also part of the writing pool of a show going up this summer; I’ve been offered the chance to polish off an old script for an entirely new audience; I’m one of the directors of this month’s Theater Pub; I’m directing the ‘Pub’s entry for ShortLived; I need to take another look at the pages I’ve already written for this year’s Olympians Fest; and I just expanded my role at my part-time job. That’s just what I can remember. So… yeah, it’s been a very relaxing year thus far. Now don’t get me wrong, I’d prefer not to have another blemish on my employment record (to say nothing of a lack of income as I continue my never-ending quest for a full-time job). But I’d been doing so much in addition to all of the above that I’m pretty sure my health was beginning to suffer. I barely had time for any of the exercises I mentioned in my last entry and I didn’t even get to see the shows I was house managing. I became so determined to be the best at each job that I was falling behind on almost all of them: I was late for – or missed – a few deadlines and began to lose track of dates. And I won’t even get into family health matters. When a friend of mine happened to see me, noticed I looked a bit ragged, and asked me what was wrong between condolence hugs, all I could do was quote Hamlet: “When sorrows come, they come not single spies, but in battalions.” My first-world problems bring out my melodramatic side. 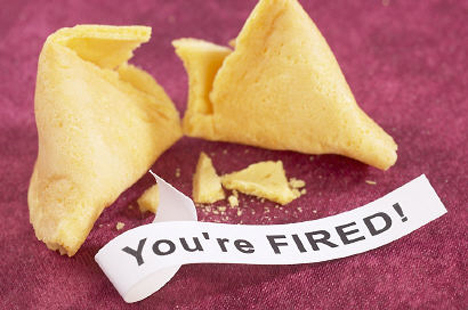 It’s a tricky business leaving a job staffed with people you know. At the meeting, the woman who hired me – someone for whom I still have a great deal of respect – said she regretted at moving to this point. I, likewise, apologized for not being able to do my job at 110%. We both acknowledged the fact that my increasingly crowded schedule was starting to show in other aspects of my life. Everyone agreed that it was for the best to let me go. Afterward she told me that she’d like me to remain a part of her network, and for once, I actually believed that to be true. And with that, a straw was removed from the camel’s back. The theme(s) of this month’s Theater Pub is “Luck and Chance”. I’ve had the chance to expand my skill set and strokes of luck both good and bad. I had a chance encounter with a friend who gave a hug when I wasn’t yet ready to spill my guts. I’ve had the chance to prove myself outside of my normal comfort level. If nothing else, I’d like to think that I’ve proven how dedicated I am, even when possibly to my personal detriment. But then, that’s the reason I named this column “In For a Penny”. I’ve mentioned before that I don’t believe in Destiny, but I do believe in Fate. It was my fate to do this amount of work for the amount of time in which I did it. Now that it’s over, I’m able to give my other work the proper attention it deserves. Tonight begins the first of a three-day/four-performance run of This is Why We Broke Up , the SF Theater Pub short play written by Ashley Cowan which I directed. Ashley’s offer to direct came at a time when I really needed it, so I’m willing to believe luck was on my side. As you fine folks watch it (multiple times, and vote us to the top! ), I’ll be in the back in a Zen-like trance. Charles Lewis III is serious about you showing up to ShortLived tonight. In fact, show up all weekend! Tickets are super-cheap AND they’re even cheaper with a group of six-or-more. Buy them right now!